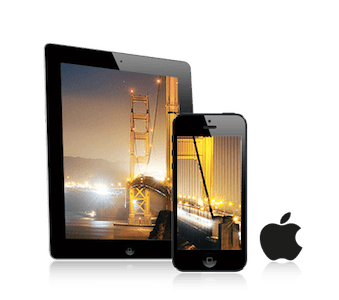 There are only a few steps necessary to add the Wikitude SDK to your iOS application. This guide will explain them in detail. The first step is to open an existing Xcode project. If there is no project already created, do so using the Xcode project configurator. 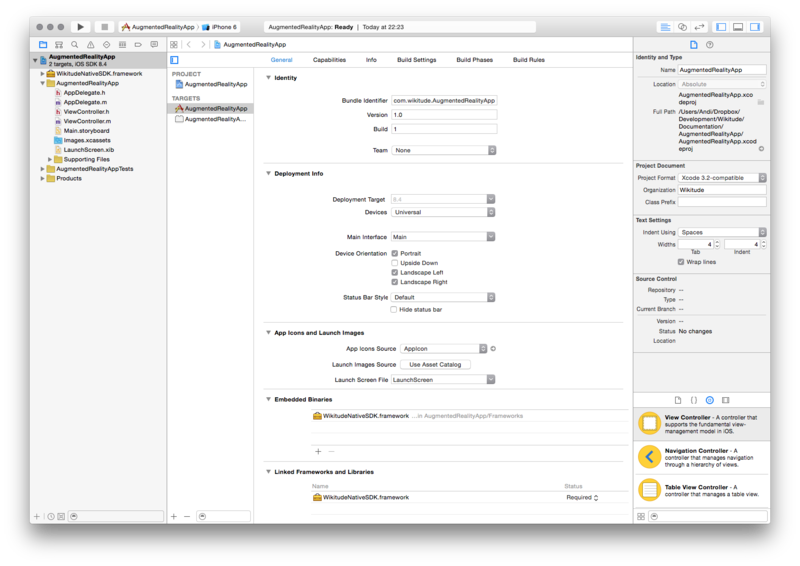 To keep things clear, you should copy the Wikitude Native SDK .framework into your Xcode project structure. Having it somewhere else on your machine might lead to confusion when updating to a newer version of the Wikitude Native SDK. After the .framework was copied, it can be added as Embedded Binaries. After the setup step is completed, the Wikitude Native SDK is ready to be used within an iOS application. The main class to work with is WTWikitudeNativeSDK. It's the central point for creating trackers, to obtain an already configured rendering component or to control camera related settings. The Wikitude Native SDK can be used in trial mode without any paid license, but to remove the watermark, a valid license has to be set using the -setLicenseKey: method. Then you should request camera and/or location access. In addition to the standard way of requesting authorizations from the user, we also provide an authorization request manager to make the process easier for developers. The Wikitude Native SDK calls the WTWikitudeNativeSDK delegate method -wikitudeNativeSDK: didEncounterInternalError: as soon as an internally inconsistent state was detected and parts of the SDK might stop working as expected. This is especially helpful while developing the application and not so much for end user notifications. How trackers, the camera controls and rendering can be used, will be explained in the example part of this documentation. Each feature will be explained in detail through a real usage example. You can now call all the interfaces of the Wikitude Native SDK from Swift. Add all the additional Objective-C headers you need to the bridging header in order to expose their classes to Swift. Xcode automatically generates Swift-interfaces for them. Swift can call Objective-C and Objective-C++ code naturally, but does not have the capability to call C++ code. In order to get input plugins running, you have to create Objective-C++ wrapper classes as intermediates to enable the Swift-C++ communication. Don't forget to expose the wrapper classes to Swift by importing them in the bridging header. Swift can't handle the std::shared_ptr that points to the plugin, so we're storing it in our Objective-C++ wrapper. For the initialization of this plugin we need two integer values as well as a UIViewController. Change your init method accordingly depending on which parameters you need for your own plugin. Every input plugin needs to be able to register to and unregister from the Wikitude Native SDK, so we create methods for both purposes.